I can hardly believe it is already near the end of the week, but it has been a productive week. I’ve completed the final episode in Revelation: An Idealist Interpretation. Episode Twenty-eight is focused on Chapter 22. The key illustration is River of Life and Tree of Life from the Bamberg Apocalypse. In the text I connect the river of life to Jesus’ encounter with the Samaritan woman, St. Photina, at the Well of Jacob in the Gospel of St. John as well as to other Old Testament and New Testament precedents. This is the longest episode in the series. I retained the longer form in hopes of retaining the integrity of discussion of the topic. As he did in Chapters 19, 20 and 21, St. John draws together threads of the narrative that he placed in many earlier chapters, creating a unified work in which he repeats his reason for writing and book and warning those who might seek to change anything in it. It is a fitting conclusion to the most spiritual-minded book in the New Testament canon. I hope each person who watches the video learns something they did not know before or sees the whole book in a different light than that taught by modern, literal-minded scholars and clergy. 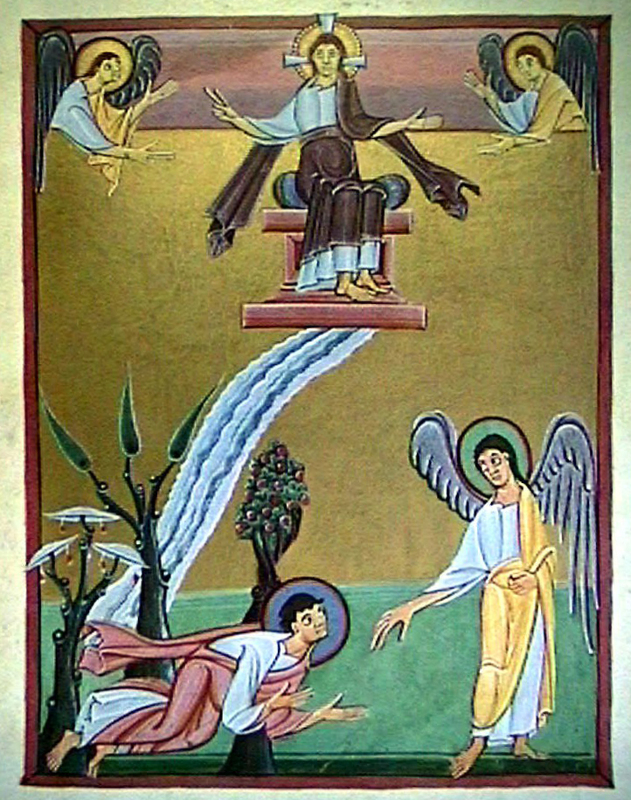 With the production of the video series concluded was able to block out the format for the book version, which will come to about 210 pages, including nearly all the illustrations in the Bamberg Apocalypse in 8.5″ x 8.5″ format, enabling the use of larger pictures and retention, as far as is possible, of the placement of the illustration close to the text it illuminates. Other projects in the works are a permanent version of the Great “O” Antiphons service for the final 7 days of Advent and, I hope, a permanent version of The Twelve Days of Christmas, our two seasonal videos which will be placed on the Digital Library page.